For our first real date night out in quite some time, I decided to peruse Open Table to look for restaurants that were available down town around the time we wanted to eat. 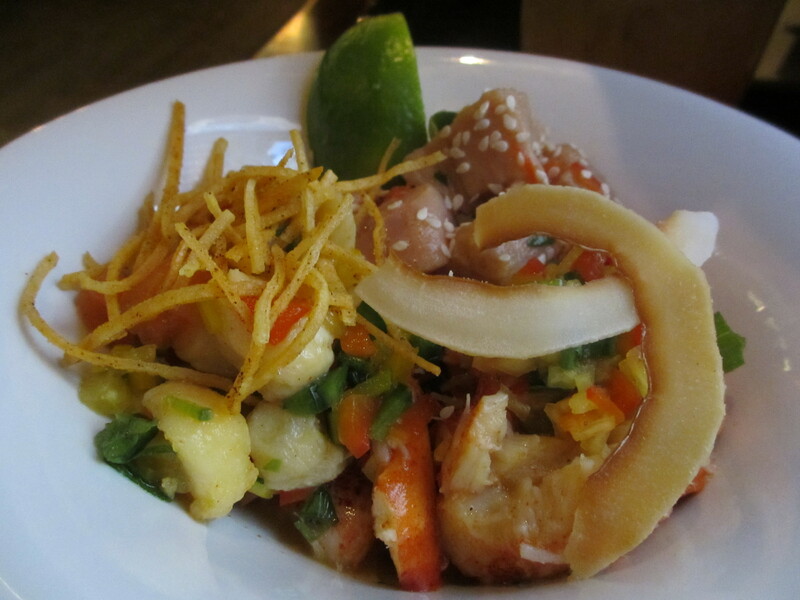 Believe it or not, nothing jumped out at me… What is going on Boston Food Scene??? 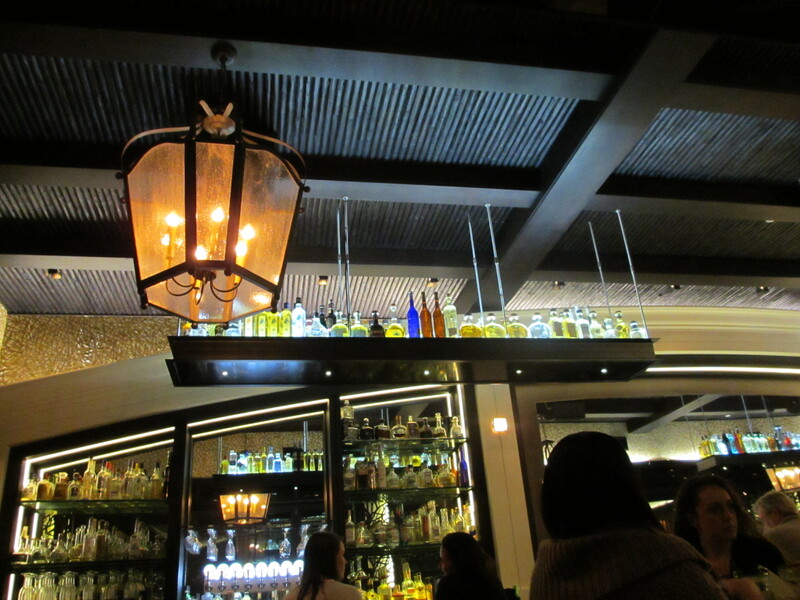 Temazcal Tequila Cantina on the waterfront… down in the Seaport District of Boston. I gave them a quick call and was happy to find out they DO take reservations and were able to fit us in at 7pm on that Friday night (I think I called on Wednesday). 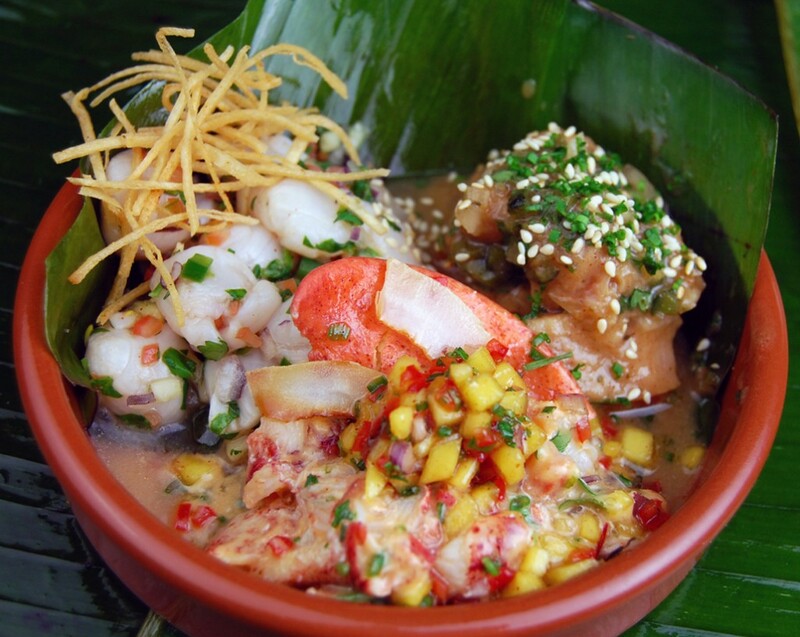 Temazcal is located in the waterfront district called Liberty Wharf (deemed “Boston’s New Waterfront“) at 250 Northern Avenue and has validated valet parking. The parking is generally $20, but with validation it brings it down to $16 — which is cheaper than most parking garages. 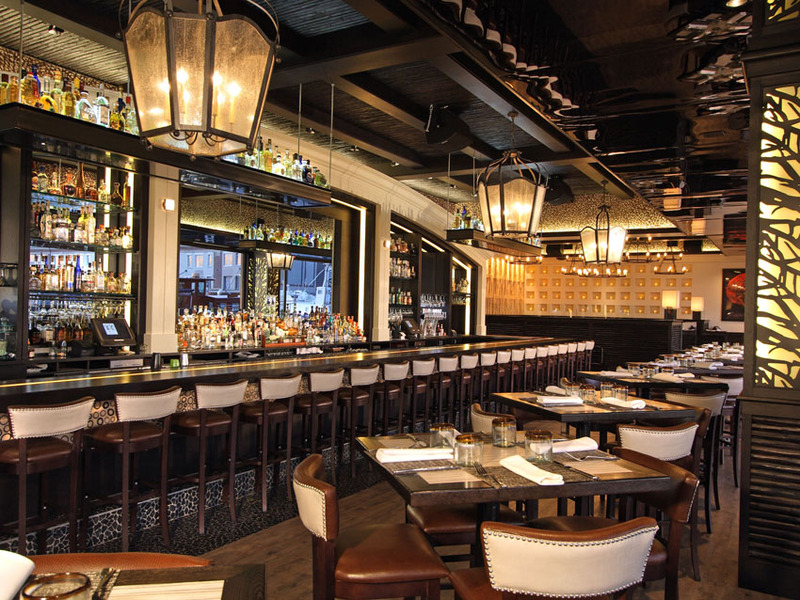 It was labeled one of the Top 10 Boston Restaurants by the Best of Luxury website in March 2013. 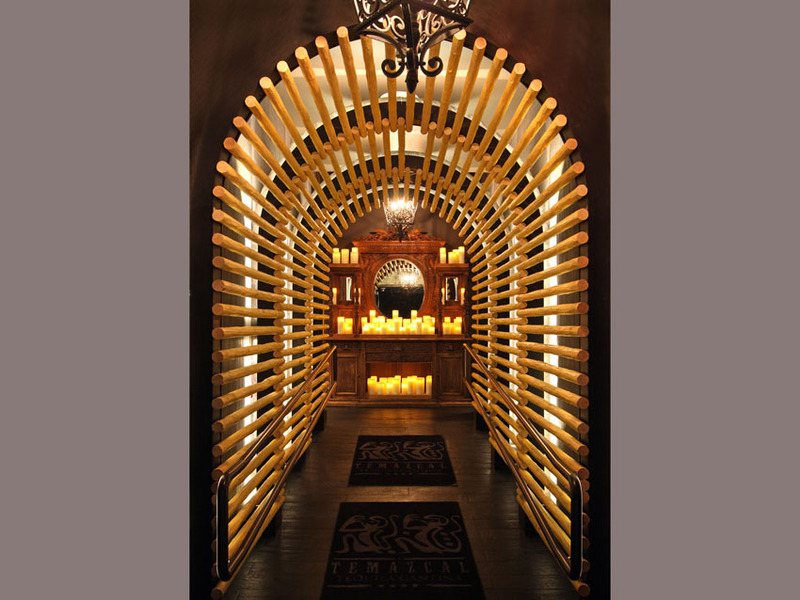 The entrance into the restaurant is stunning… The simple design of the wooden dowels overhead create the feeling of walking into a sacred space. The restaurant sits right on the boardwalk that outlines the edges of this now popular wharf. These photos were lifted from their website as during the evening, the space is actually quite dark. 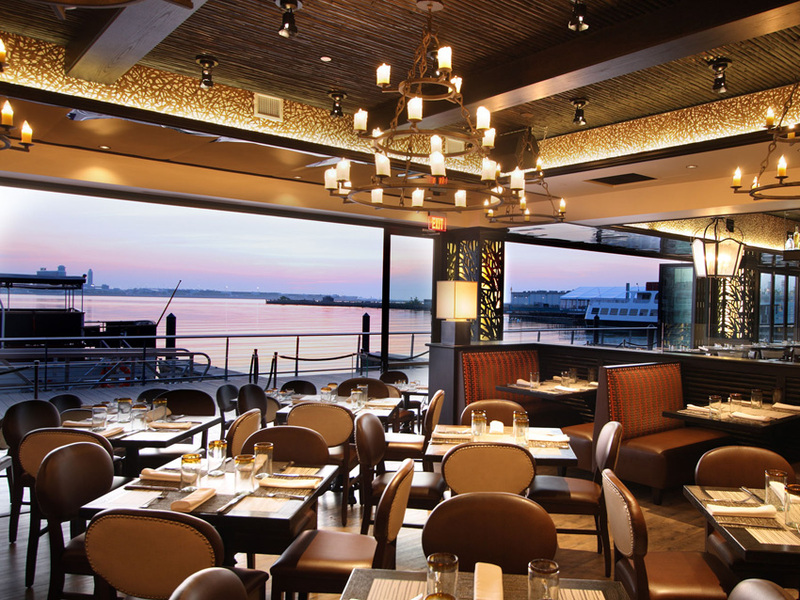 The restaurant overlooks Boston Harbor and has stunning views… I am very anxious to go back in the warmer months so we can enjoy the open air and alfresco dining. The bar, which was packed, is long and affords lots of seating for the after-work crowd. 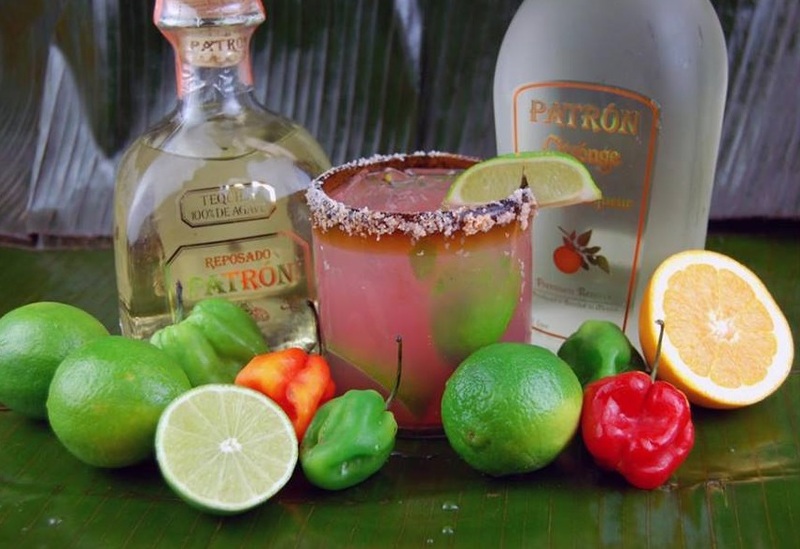 There are over 300 different kinds of tequila — most of which (perhaps even all) are on display in various locations throughout the bar, restaurant and in display windows along the street. The space definitely feels very hip and upscale and not overly traditional for a cantina… but that’s okay, it warrants that. We lucked out and got a seat pretty much where this picture was taken from… right at the windows overlooking the water. 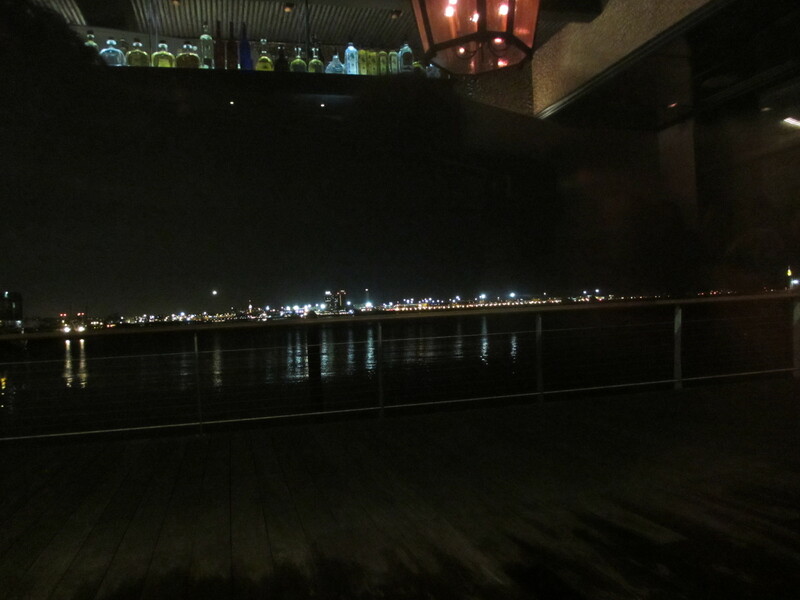 Here is my shot of the bar, the bottles and of the water view. See? Pretty dark! I’ve done the same thing for the food photos… Most of those inserted into the post are taken from the restaurant’s website, but you can click on any of the links I provided to see what the drinks and dishes really looked like (taking into consideration the very poor lighting). 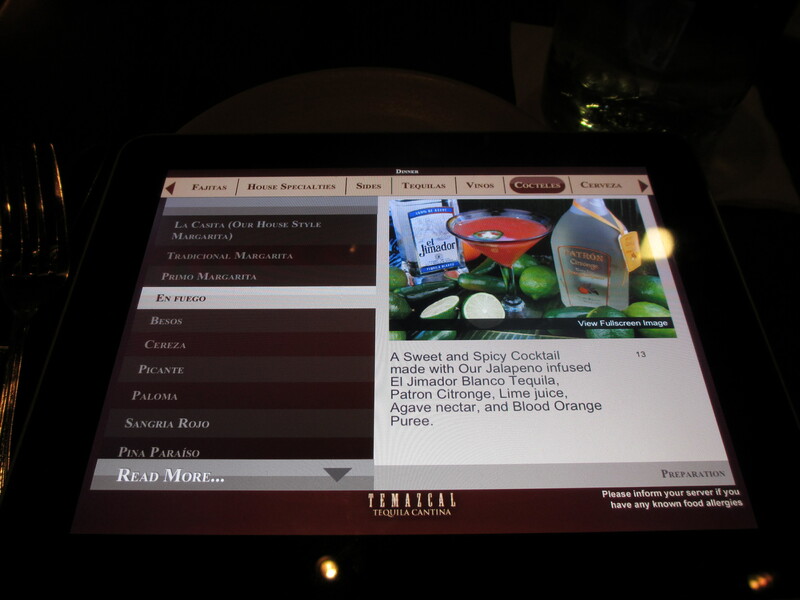 The menu is presented via iPads… which is kinda cool. Though, I wonder how many get dropped or have food spilled on them. While it’s a cool, novel idea (and many of the Lux movie theaters do it as well), the only real benefit I can see is that it shows the diner a picture of the dish. They are not interactive like they are in the movie theaters… in others words, you cannot call your server or order your food that way. It’s simply just a digital menu. 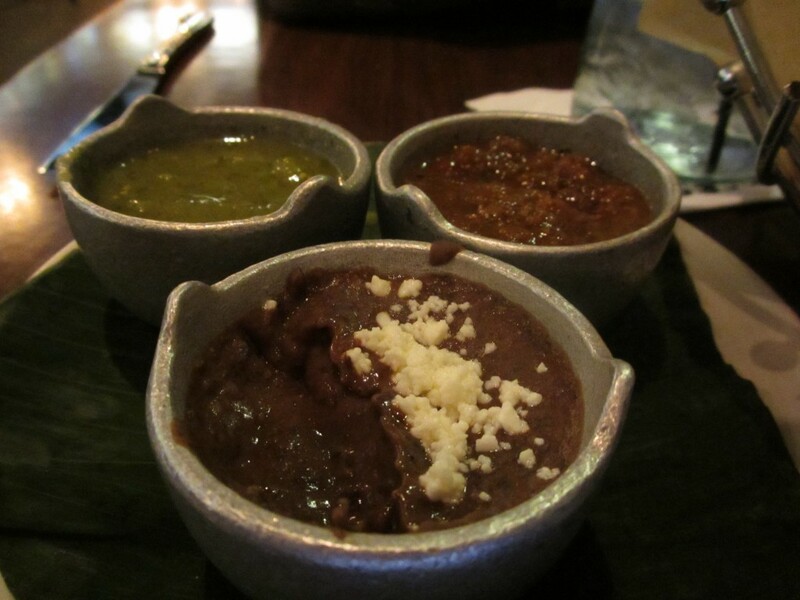 As we were pouring over the menu (which was a tad overwhelming because you had to click on each menu item to see a description), our server brought some house-made corn tortilla chips and three different types of condiments… red salsa, green salsa and refried black beans. The Dinner menu is broken out into soups & salads, tacos, fajitas, house specialties, sides, tequilas, vinos (wine), cocteles (cocktails), cervesa (beers) and spirits. As not to get too overwhelmed, we both decided to order our main dishes off the house specialties list. 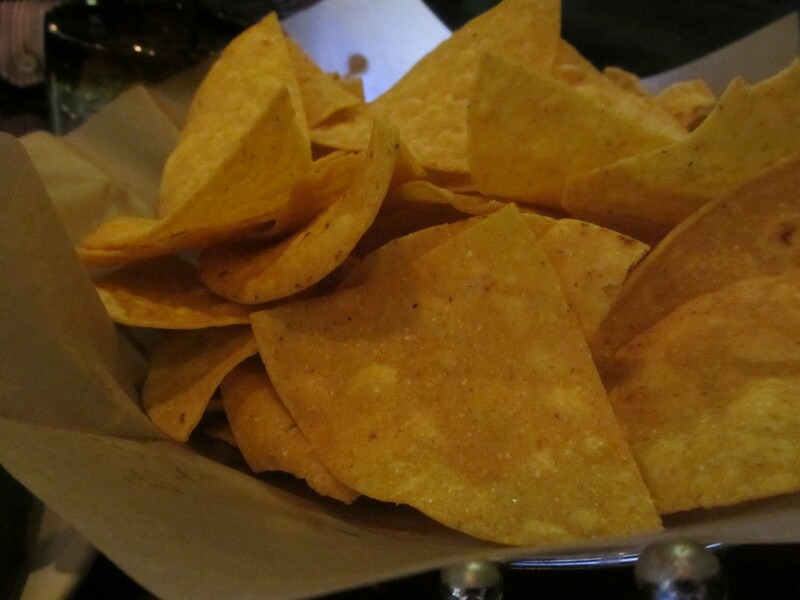 But first, we wanted to start with a little appetizer. Next up, our cocktails arrived. This is where I officially fell of the Whole 30 wagon. 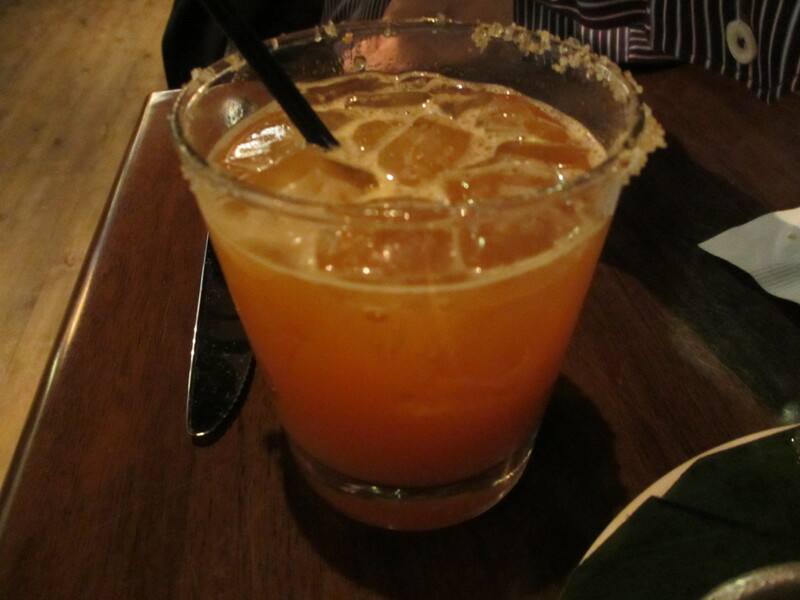 I got the En Fuego — A sweet and spicy cocktail made with in-house jalapeno-infused El Jimador Blanco Tequila, Patron Citronge, lime juice, agave nectar & blood orange puree ($13). It was delicious, but VERY sweet and my body and taste buds weren’t accustomed to so much sugar, so I got a pretty bad headache after. This was certainly not a reflection of the drink though, but more so my body reacting to me overloading it with something I hadn’t had in 20+ days. Here’s what my drink looked like in person. 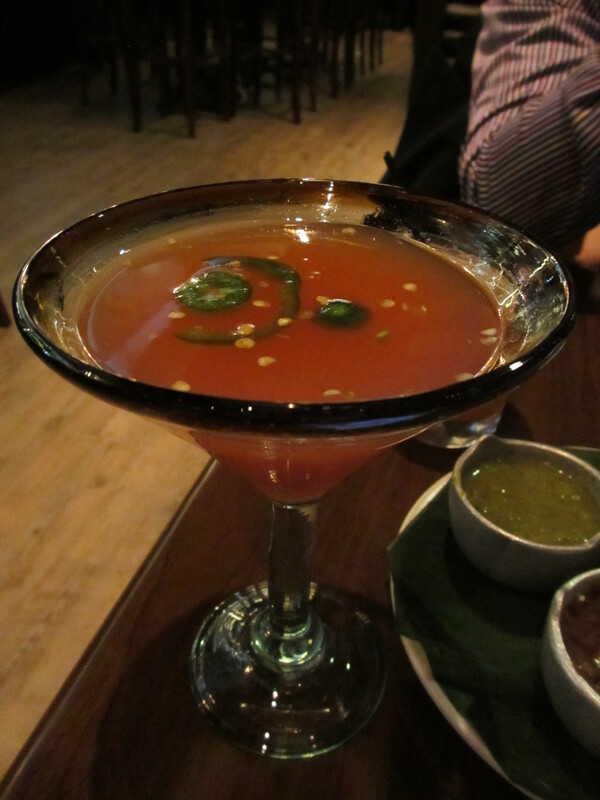 It definitely wasn’t too spicy (I do love jalapeno though) and I could have tolerated it even a bit spicier. 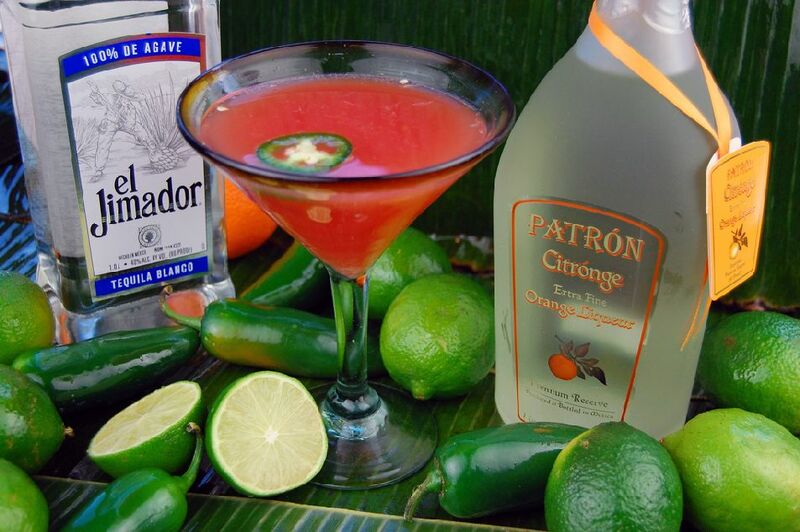 Dan got the Picante — Patron Reposado and Citronge, blood orange and passion fruit puree, fresh lime juice and habanero infused simply syrup with a spicy rim ($15). His had a bit more spice and was very good as well. I think I may have liked his a tad better, because while it was sweet, it wasn’t quite as sweet as mine. I will probably get that next time. You can see it here. 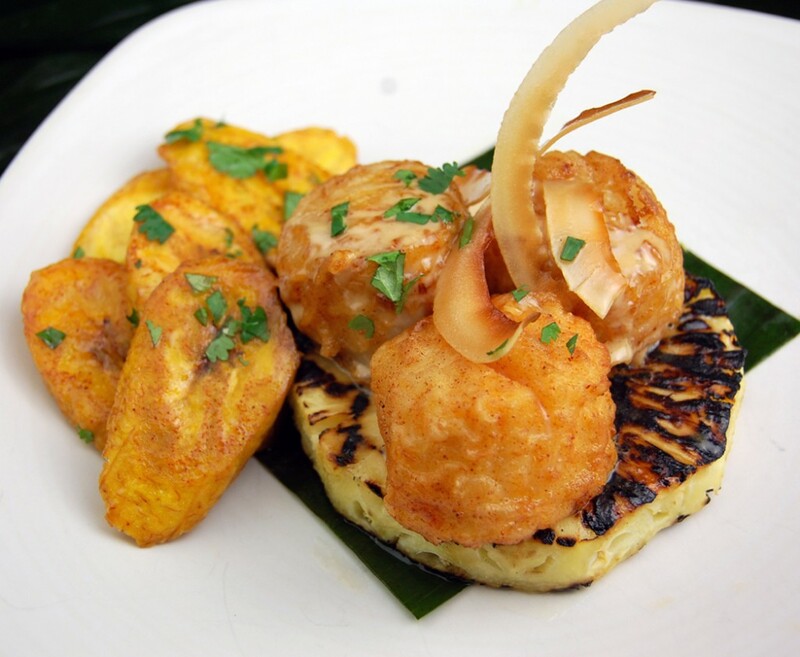 For my main dish, I chose the Giant Sea Scallops Al Pastor — Sauteed giant sea scallops, grilled pineapple, friend plantains, spicy citrus butter & toasted fresh coconut ($26). Mine looked like this and was very good. The scallops were huge and were cooked perfectly. 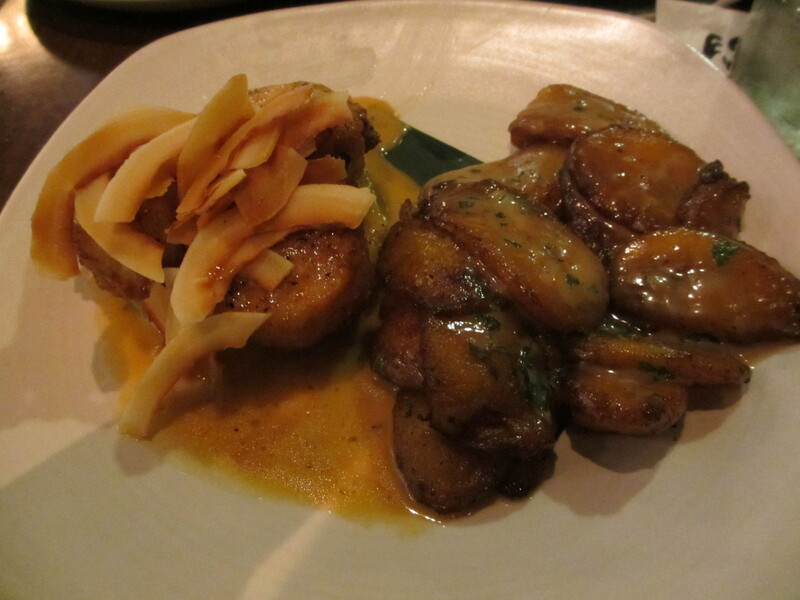 The plantains were ridiculously good… they tasted like DESSERT. If I didn’t know better, I would have thought they had a caramel sauce drizzled on them… so this made for a pretty filling meal. 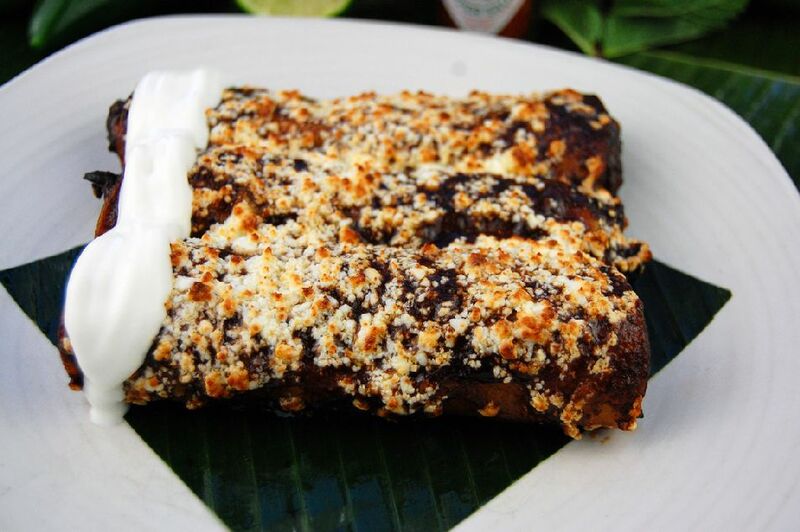 Dan got the Mole Enchiladas — Roasted chicken, gordita corn tortilla, queso fresco, pepitas, epazote, mole poblano, avocado & crema fresca ($19) and really enjoyed them. They were super filling and we wound up taking more than half home with us. I tasted them and really liked them, but they were way too rich for me that night. Overall, Dan really enjoyed them and would probably get them again (or try one of the other kinds of enchiladas they serve). Not realizing how full we’d be, we also got a side of the Acapulco Street Corn — I think this was a newer item on the menu, as only Dan’s iPad had it (not mine) and there’s no description on the website. 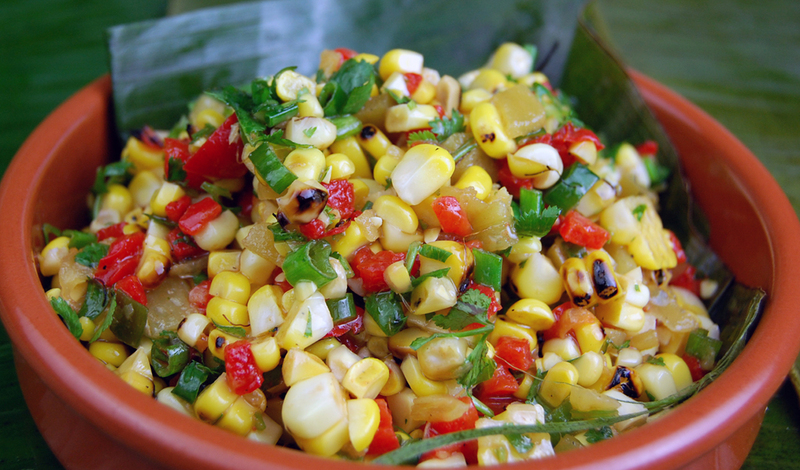 That said, if I had to guess, it was fire roasted corn, red peppers, green onions, cilantro in some type of savory lime dressing and was served hot ($5). It was good… nothing super special, but definitely tasty. Overall, I’d say we had a good experience. I thought the food was very good, but it certainly didn’t blow me away. I think my expectations were pretty high because we hadn’t been out in a while and truth be told, at this point in my ‘food career’, it really takes a lot to blow me out of the water.